Do you remember a Scotland where the beaches were permanently packed during the ‘Glasgow fortnight’, where people jostled for space in Saturday-night dance halls while attempting a demure courting ritual, and where striking workers with massive banners were pushed about on the streets by enthusiastic (pre-kettling era) policemen? 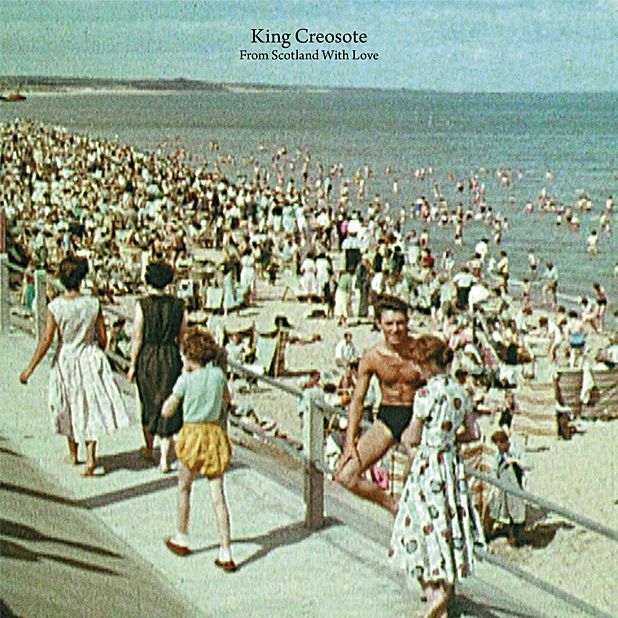 King Creosote aka Kenny Anderson does, or at least he recalls it all through the auspices of the From Scotland with Love documentary, screened on the BBC in June and re-appearing as part of the cultural happenings revolving around the Commonwealth Games. The film, put together by Virginia Heath, is an un-narrated compilation of archive footage of this nation across the 20th century for which KC has supplied the soundtrack. With no authorial voice guiding us through the film, viewers are left to fill in the gaps or, more enjoyably, just trust the Creosote version. Through this set of 11 evocative and tender songs (infiltrated by a couple of rousing foot-tappers), Anderson steers clear of any sweeping ideological statements about nationhood, the rise of consumerism and the death of community. Instead, he focuses on speculative scenarios about individuals, friends and families. These are stories where parents seek to cultivate better lives for their progeny amid the ‘clarty surrounds’ of ‘Pauper’s Dough’, of kids kicking up sand at ‘Largs’, and where Wayne circles the dancefloor for ‘One Night Only’. Clarinets, squeezeboxes and what sounds a little like a grandfather clock running out of puff merely add to the nostalgic charm. But be assured, this is no sentimental journey, with Anderson testifying to a fascination for finding the dark edges in both people and places. The collection works like a dream alongside the film, but it’s a potent gem when heard all on its own. This is Anderson’s first album since Diamond Mine, his Mercury-nominated 2011 collaboration with Jon Hopkins. At the very least, some lobbying for From Scotland with Love scooping next year’s SAY Award should start right now.